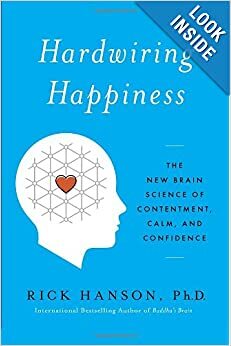 Rick Hanson's new book is Hardwiring Happiness: The New Brain Science of Contentment, Calm, and Confidence and in this two-part interview with Sounds True's Tami Simon, he discusses his companion product (through Sounds True), Self-Directed Brain Change. Rick Hanson, Ph.D., is a neuropsychologist and author of Hardwiring Happiness: The New Brain Science of Contentment, Calm, and Confidence (from Random House in October, 2013; in 4 languages), Buddha's Brain: The Practical Neuroscience of Happiness, Love, and Wisdom (New Harbinger; in 24 languages), Just One Thing: Developing a Buddha Brain One Simple Practice at a Time (New Harbinger; in 12 languages), and Mother Nurture: A Mother's Guide to Health in Body, Mind, and Intimate Relationships (Penguin). Founder of the Wellspring Institute for Neuroscience and Contemplative Wisdom and an Affiliate of the Greater Good Science Center at UC Berkeley, he's been an invited speaker at Oxford, Stanford, and Harvard, and taught in meditation centers worldwide.